It was a hard adjustment to Lessons From a Dead Girl after reading Sarah Dessen's latest novel. 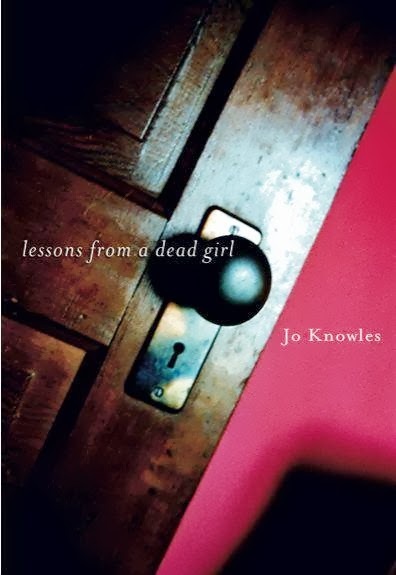 There is nothing pastel-colored nor seaside about this outing from Jo Knowles, who said she was inspired to write it when she learned about abuse between children. They say that abusers hold power over their victims; what happens when the abuser is also the best friend? Laine has always been the invisible one next to Leah Greene, wondering why she was chosen to be the best friend of this vibrant girl. The truth is devastating and will affect Laine for the rest of her life, long after Leah is gone. Knowles paints a world of isolation, where secrets are always simmering just below the surface and threaten to break out. They say that once something is said aloud, it is less painful. When Laine and Leah try, however, everything falls apart. I was not as enchanted by Lessons From a Dead Girl as other books by Jo Knowles. I found the writing to be simplistic and the ending not to be as satisfying as I'd hoped. I guess this is good news for me as a fan of the author, as this is the oldest of her books that I've read. She keeps improving and I will keep reading.